Let’s here one for the Dads! 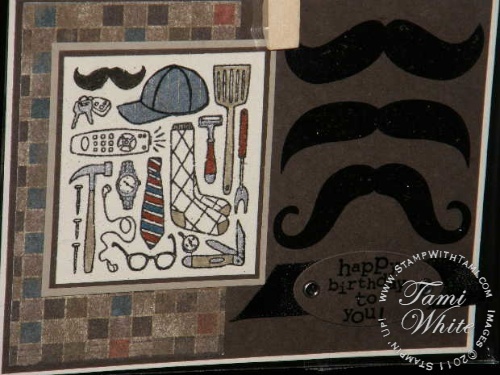 This super cute stamp from the Occasions mini catalog called Packed for Dad #125452 is packed full of fun “man-town” trinkets: remote control, pocket knife, spatula, hammer, tie, glass pocket watch and more! 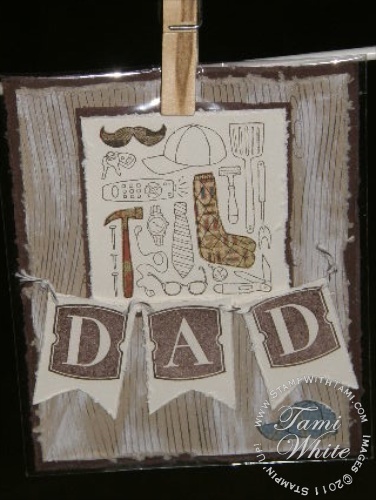 Here are some great cards created using the stamp.